Australian Computer Journal, May, 1968. This ad is quite misleading. 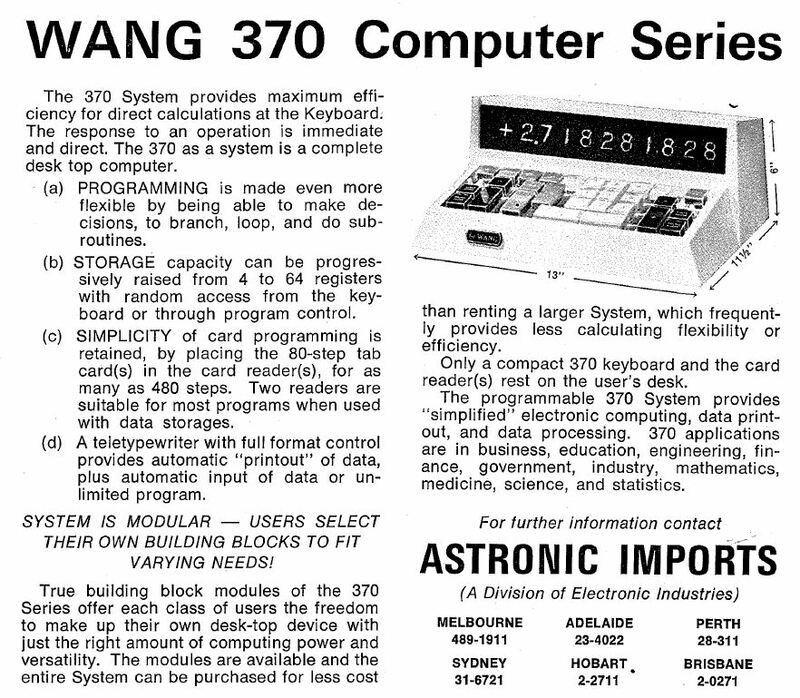 It is an ad for an Australian importer of Wang Laboratories' electronic calculators known as Astronic Imports. The ad is misleading because the advertisement is for Wang's Model 370 Programmer unit for the 300-Series electronic calculators, but the image shown, with dimensions, is of a Wang 320K Keyboard/Display unit, a keyboard/display unit that isn't even close to the 370. 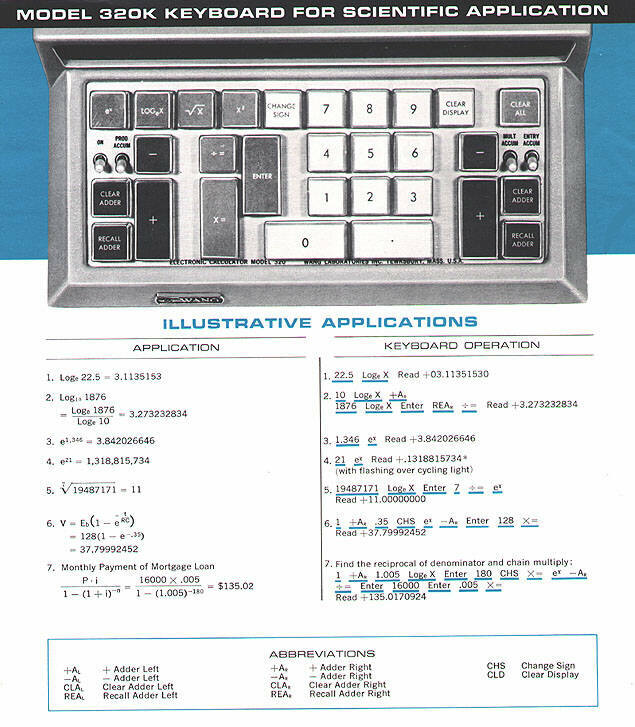 The text of the ad describes the capabilities of the 370, including optional storage units (Model 372 and 373), and teletype interface (Model 377).